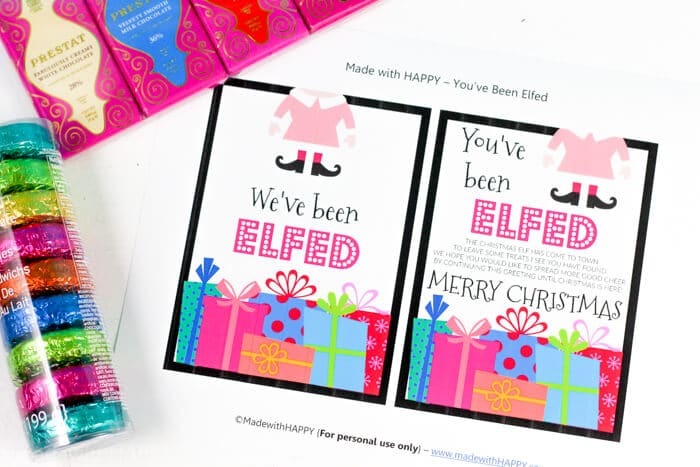 We’ve put together a fun little gift idea for your neighbors along with a You’ve Been Elfed Free Printable. 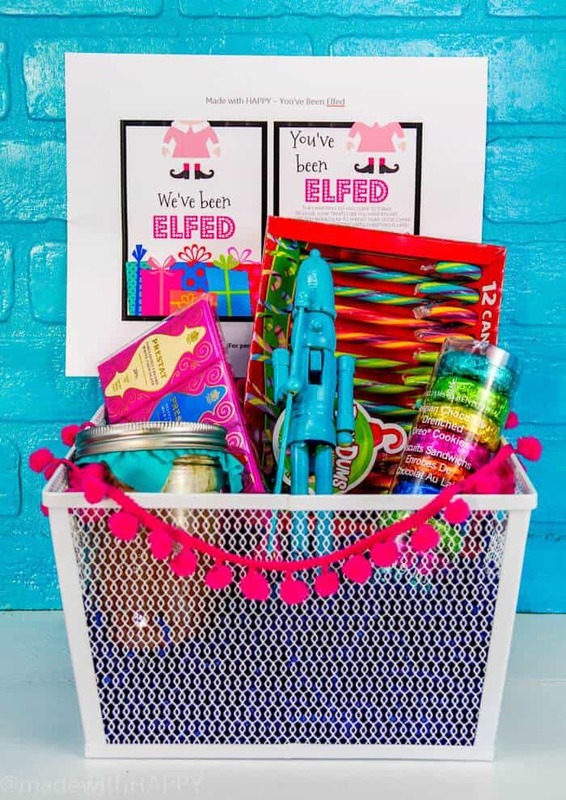 Giving gifts is a big part of this holiday season. We make it a point to show the kids that its not about their wish lists for Santa, or making gingerbread houses and cookies. While those things are fun and festive and we enjoy doing them, the reason for Christmas is Jesus. It is Jesus’ birthday and we celebrate him by striving our best to emulate him. Be kind, be gracious, be giving! There are many traits you want your children to poses, but if I could get them to have those three, then I know they will be on their way to a incredible life. Give my friends. Give to your friends, neighbors, classmates. Even if you don’t know your community, give and you will be seen as the light. 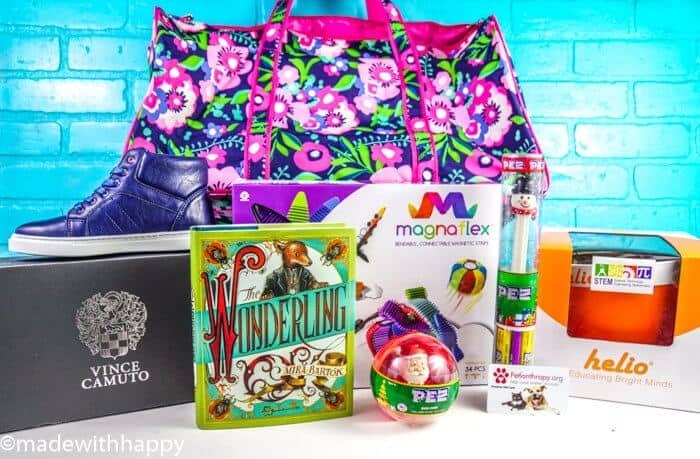 Okay, now you know how I feel about giving, we’re making it easy for you with some fun and easy ideas. 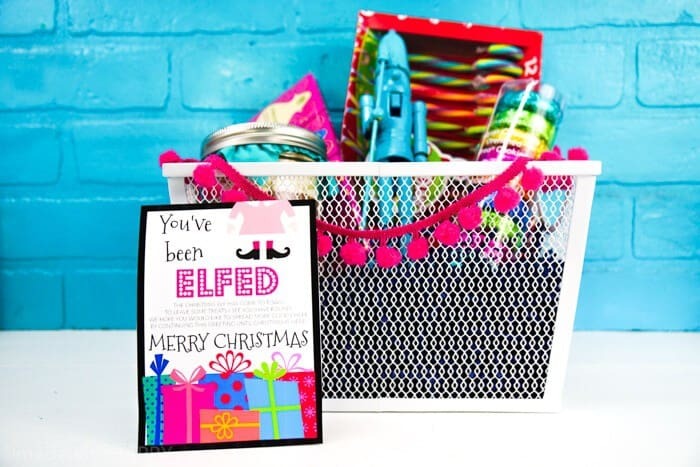 Grab a few festive items when you’re at the store next. 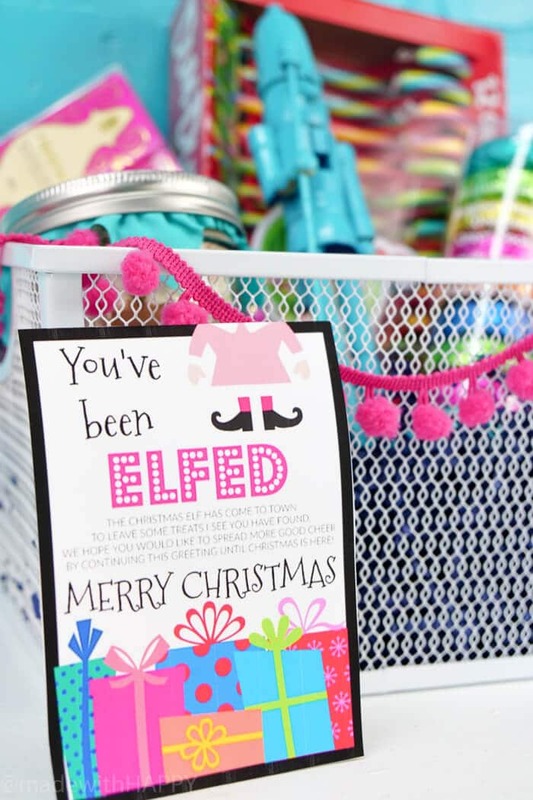 Whether its as simple as a few packets of hot chocolate and tie them up with this printable, or a basket like we’ve put together with some additional goodies. If you know your neighbors, make sure to grab things that they like or dietary restrictions. If you aren’t as familiar with them, then something simple like some homemade cookies or jar of hot chocolate is great. 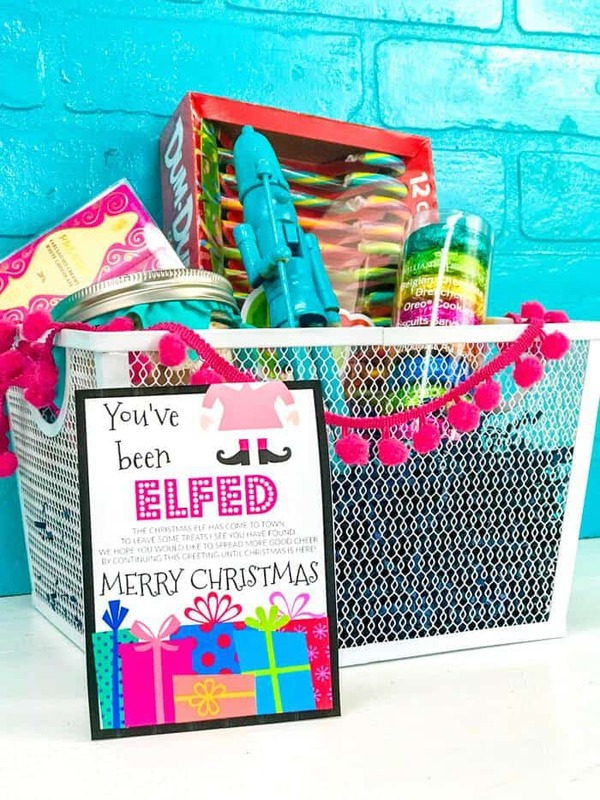 PIN IT TO YOUR DIY BOARD ON PINTEREST! 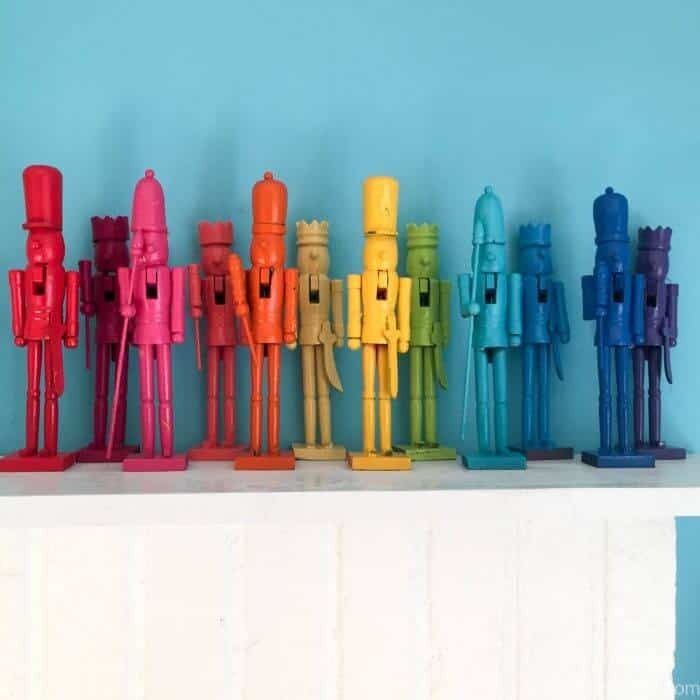 FOLLOW MADEWITHHAPPY ON PINTEREST FOR MORE GREAT IDEAS! I love this! Especially that the colors are relatively holiday-neutral. Do you have one that says happy holidays instead of merry Christmas? Thank you. I don’t currently have one that is Happy Holidays, but will work on putting one together.